Three special issues drawn from the international conference, “The Future of Journalism: Risks, threats and opportunities” (held at Cardiff University, 10-11 September, 2015), are now available online. Shared across all three issues is Bob Franklin’s ‘Preface‘ as well as the introductory essay, ‘The Future of Journalism,’ by Karin Wahl-Jorgensen, Andrew Williams, Richard Sambrook, Janet Harris, Iñaki Garcia-Blanco, Lina Dencik, Stephen Cushion, Cynthia Carter and Stuart Allan. Very kind of Nanni Salio and Silvia De Michelis to include my chapter, ‘Documentare la guerra, visualizzare la pace: Verso una fotografia di pace,’ in Giornalismo di Pace (Torino: Edizioni GruppoAbele, 2016). The English-language version, ‘Documenting war, visualising peace: Towards peace photography,’ appeared in I. Shaw, R. Hackett and J. Lynch (eds) Expanding Peace Journalism. Sydney: University of Sydney Press, 147-167. Digital Media, Journalism and Factual Storytelling symposium, School of Journalism, Media and Cultural Studies (JOMEC), Cardiff University, 19 May. This symposium, open to the public, will share cutting-edge research and practice focused on how rapid transformations in digital media have changed journalistic storytelling practices, creating new opportunities and challenges. The advent of social media, citizen journalism and user-generated content, alongside new platforms such as live blogs, as well as new presentational and investigative techniques associated with data journalism and the use of algorithms have ushered in new opportunities for sharing information and telling stories. 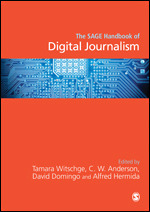 At the same time, these processes are also challenging journalistic practices and professional identities. The symposium will feature talks by leading Cardiff University scholars and practitioners, as well as international experts. The opening keynote speaker will be Jay Rosen of New York University, a leading writer on journalism in the digital age. The symposium will close with a talk and screening from Daniel Meadows, a pioneer of the digital storytelling movement. Other speakers will include Bolette Blaagaard (University of Aalborg), Irene Costera Meijer (Free University of Amsterdam), Matt Carlson (St Louis University), Steen Steensen (Oslo and Akershus University College of Applied Sciences), Neil Thurman (University of Munich), as well as Stuart Allan, Simon Cottle, Karin Wahl-Jorgensen, and Andy Williams of Cardiff University. Click on this link to book your place. May I draw your attention to an ESRC-funded PhD studentship in Journalism Studies we are advertising at Cardiff University, and ask you to kindly alert prospective candidates. Abstract This article engages with several pressing issues revolving around ‘citizen witnessing,’ with specific reference to the human rights advocacy group WITNESS. In the course of tracing WITNESS’s development over the past two decades, it offers an evaluative assessment of the challenges its members have faced in promoting a grassroots, citizen-centred approach to video reportage. More specifically, this advocacy is informed by an ethical commitment to advancing human rights causes by equipping citizens in crisis situations with cameras, and the training to use them, so that they might bear witness to the plight of others. In so doing, this article argues, WITNESS offers a tactical reformulation of the guiding tenets of peace journalism, one with considerable potential for recasting anew its strategic priorities. Please contact me via email for a copy of this article, if you are unable to access it via a library subscription. Allan, S. and Peters, C. (2015) ‘Visual truths of citizen reportage: Four research problematics,’ Information, Communication & Society. In striving to better understand issues associated with citizen contributions to newsmaking in crisis situations, this article identifies and elaborates four specific research problematics – bearing witness, technologies of truth-telling, mediating visualities and affectivities of othering – in order to recast more familiar modes of enquiry. 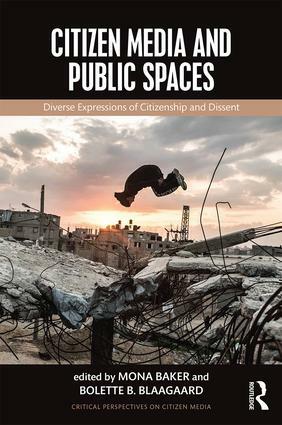 Specifically, it provides an alternative heuristic to theorize the journalistic mediation of citizen imagery, and the myriad ways this process of negotiation maintains, repairs and at times disrupts the interstices of professional–amateur boundaries. Rather than centring analysis on how crisis events highlight change, it discerns the basis for a critical tracing of the material configurations and contingencies shaping journalistic imperatives towards generating visually truthful reportage. In seeking to move debates about how best to enliven digital journalism’s future beyond the polarities of new media advocacy and criticism alike, we emphasize the importance of developing a collaborative, co-operative ethos of connectivity between journalists as citizens and citizens as journalists. Accordingly, each proposed problematic is examined in a manner alert to pinpointing its prospective value for theory-building, and in so doing elucidating its potential utility for scholarship in the years ahead. The London attacks ten years ago signalled a decisive turning point in the emergence of a new, collaborative ethos for journalism. As media organisations relied on mobile phone images contributed by ordinary citizens, it was clear that news gathering had been recast by technological imperatives. Today, the person first on the scene of a newsworthy event with a camera, is likely to be an ordinary citizen. The growing popularity of cheap, easy-to-handle digital devices, as well as the ease with which imagery can be uploaded and shared across social networking sites, such as Twitter, Facebook, Path, Flickr, Instagram, Tumblr, Reddit and YouTube, have contributed to this phenomenon. For varied reasons, priorities and motivations, “accidental photojournalists” with a mobile phone feel compelled to bear witness. They actively engage in diverse forms of photo-reportage to capture and relay what they see unfolding before them. News organisations have developed sophisticated strategies to manage these spontaneous contributions. This becomes even more crucial when breaking news is unfolding in real-time, such as in the reporting of crisis events. 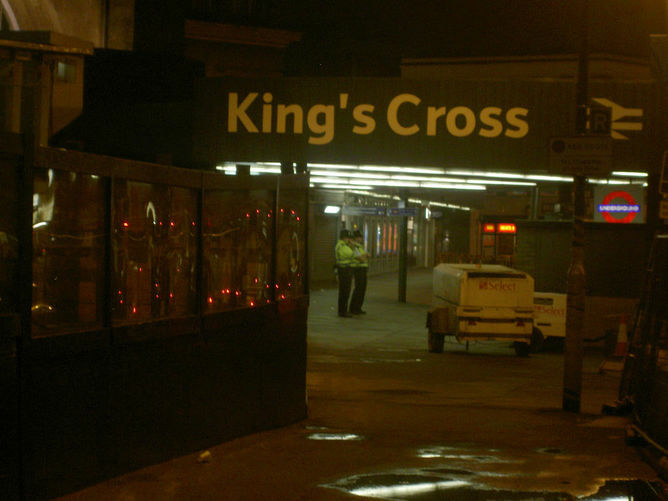 A major case in point occurred in London on July 7 2005 in the immediate aftermath of bomb explosions that destroyed three underground trains and a bus, leaving 56 people dead and more than 700 injured. Particularly vexing for news organisations during the crisis, especially television news, was the issue of access. 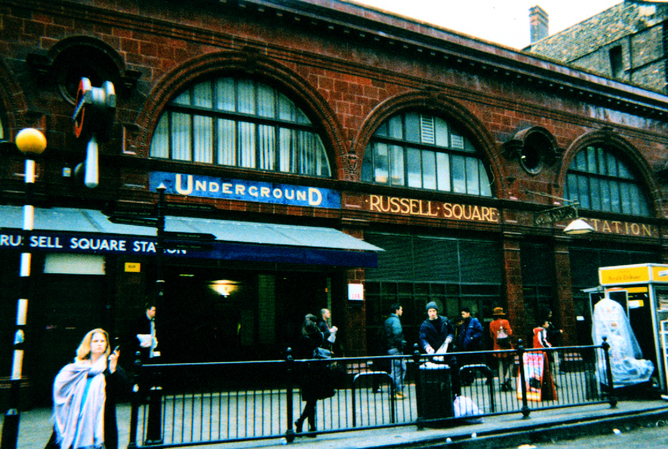 Unable to gain entry to London Underground stations due to tight security restrictions being imposed, the devastation engendered by the explosions was out of sight, beyond the reach of their cameras. On the other side of the emergency services’ cordons, however, were ordinary Londoners, several of whom somehow retained the presence of mind to begin visually recording the harrowing scene of fellow commuters trapped underground. A number of extraordinary “phonecam snapshots” of passengers trapped underground were posted on Moblog, a photo-sharing website for mobile phone images. Others used Flickr.com, a photo-sharing service launched the previous year, which enabled people to post content directly from a mobile telephone free of charge. More than 300 bombing photos had been posted within eight hours of the attacks. Many of these photographs, some breathtaking in their poignancy, were viewed thousands of times within hours of their posting. “It’s some sense that people feel a real connection with a regular person – a student, or a homemaker – who happens to be caught up in world events … how it impacts the regular person in the street,” Flickr co-founder Caterina Fake remarked at the time. Several hundred such photographs, together with about 30 video clips, were sent to the BBC’s dedicated email address as the day unfolded. About 70 images and five clips were used on the BBC’s website and in television newscasts. “London explosions: Your photos” presented still images, while one example of a video clip was an 18-second sequence of a passenger evacuating an underground station, taken with a camera phone video. “It certainly showed the power of what our users can do, when they are close to a terrible event like this,” Clifton had said. Over at the ITV News channel, editor Ben Rayner remarked, “It’s the way forward for instant newsgathering, especially when it involves an attack on the public.” ITN received more than a dozen video clips from mobile phones, according to Rayner. The newscast ran a crawl on the bottom of the screen asking viewers to send in their material. Every effort was made to get it on the air as soon as possible, but not before its veracity was established. “This is the first time mobile phone images have been used in such large numbers to cover an event like this,” The Evening Standard’s production editor, Richard Oliver, declared. It shows “how this technology can transform the news-gathering process. It provides access to eyewitness images at the touch of a button, speeding up our reaction time to major breaking stories.” News organisations, in his view, were “bound to tap into this resource more and more in future”. Some images were quickly put to one side, however. “We didn’t publish some of the graphic stuff from the bus explosion,” stated Vicky Taylor, interactivity editor with the BBC. “It was just too harrowing to put up.” Nevertheless, she said, the use of this type of imagery signalled a “turning point” with respect to how major news organisations report breaking news. “What you’re doing,” Taylor observed, “is gathering material you never could have possibly got unless your reporter happened by chance to be caught up in this”. For Sky News associate editor, Simon Bucks, it represented “a democratisation of news coverage, which in the past we would have only got to later.” Prior to that fateful day “citizen journalism” was an idea, Australian journalist Rob O’Neill had mused. “It was the future, some people said. After London, it had arrived,” he maintained. 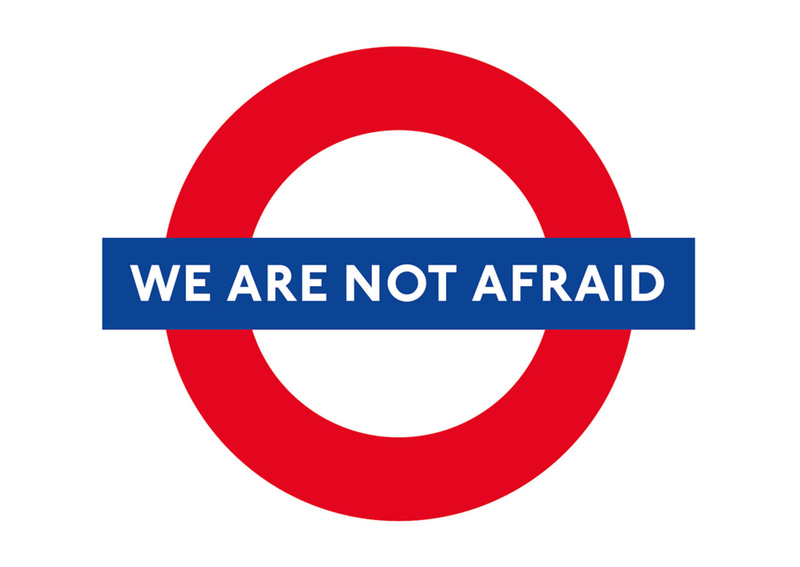 Viewed with the benefit of hindsight, the London attacks signalled a decisive turning point in the emergence of a new, collaborative ethos for journalism, at least where the reporting of crisis events unfolding in real-time was concerned. Not only was journalism on the internet rapidly transfiguring into journalism of the internet, longstanding principles of news reporting – and with them familiar assumptions about who was entitled to bear witness to human tragedies – were being redefined in ways which continue to inspire us today.